This New York Times Crossword is famous for being featured on the Simpsons Episode 6, Season 20 "Homer And Lisa Exchange Cross Words" which was originally aired on Fox in the US on November 16, 2008 . In this episode, Lisa finds out that she has a talent for solving crossword puzzles, and she enters a crossword tournament. Lisa is really disappointed when she finds out that her father has placed a bet against her in the championship match. Crossword puzzle creators Merl Reagle and Will Shortz guest star as themselves in this episode and then Reagle went on to create a special crossword that had a Simpson-related message which was published on New York Times Sunday crossword on November 16th, 2008 as a promotion for the episode. 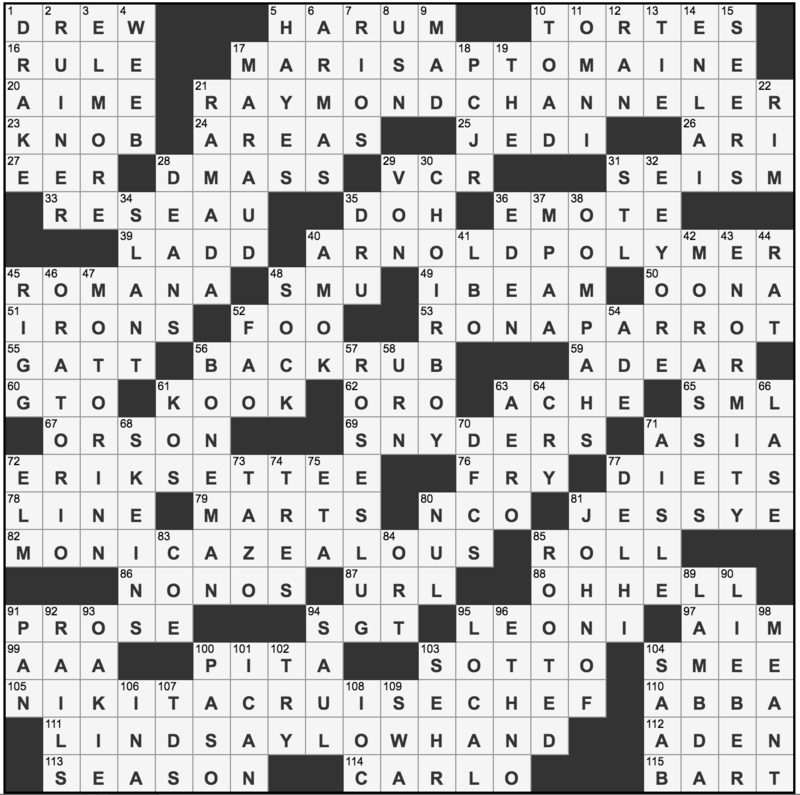 Below you can see the solved crossword. Try to spot the Simpsons-related answers and let us know in the comments how many could you find! Need help with current New York Times Crosswords? Visit daily updated our archive here.